Okay. I know it sounds like I have way too much time on my hands (definitely not the case) or have watched James Cameron’s movie too many times (well…how many times is too many? ), but this morning I had an epiphany and it revolved around images of giant blue beings with tails. See, this past week I’ve had a hard time making myself go to the gym or lace up my sneakers. And, for some reason, the idea of a nice salad with grilled chicken had completely lost its appeal. Particularly when compared to a slice of pizza with sausage and pepperoni. I was hugely obese. I was too slow. Too old. What was the point. The interesting (at least to me) thing about this struggle is that it occurred AFTER having dropped more than 20 pounds and increasing my speed and strength significantly. I was getting compliments. My pants were baggy. And I — slipped into a self-sabotage mind set and couldn’t seem to think my way out. Not sure what to do, I rifled through my arsenal: 1) Watch several episodes of “Breakthrough With Tony Robbins”. Check. 2) Listen to motivational books. Check. 3) Whine about it. Check. Check. 4) Pray about it. Check. But this morning as I was walking (while listening to a motivational book and praying. Okay, and whining) I had my epiphany. My body isn’t my enemy. It isn’t even ME. 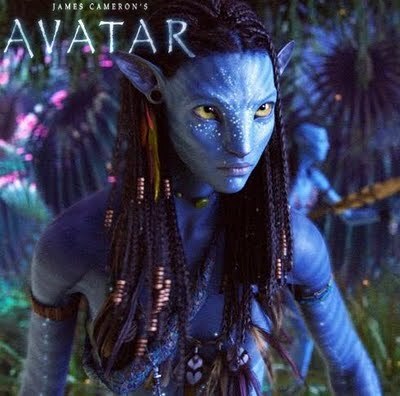 I inhabit my body the way the characters in the movie inhabited the avatars (stick with me now.) If I WERE my body than I would be less of me if I were to lose a limb or become paralyzed or ill. And I know that’s not true. After all folk with no legs are still themselves. Folk with only the ability to blink eyelids are still themselves. So I LIVE in my body, but it’s not me. How cool is that! And my body, wonderful vessel that it is, will respond to what I think, believe and do. Epiphany! So, I moved happily on, walking a lot, running a little, lifting a few weights at the gym. And feeling quite good. It’s what I think and believe that determines everything. mothers need to remember this! mainly the inside is what we need to focus on. i know when i start my day with the right kind of prayer and devotion to God, i know my day is going to be a good one. doesn’t mean i won’t face challenges, but it assures me, i won’t be facing them alone and i CAN do this! thanks for the insight. Thanks Mama Bear. Yep – start on the inside! Your Temple is not a thing. You are so right! It is a WONDERFUL VESSEL for my spirit! (I said that in the blog, actually). It is also not my sole identity. I am not my looks. I am not my weight or my arms or my legs. I am not my hair or my eyes or the clothes that I wear. We are more amazingly complex than we can even conceive. How cool is that! Of course, this was just my early morning epiphany. And, after all, I can only see through a glass darkly. Very, very well said and great timing! I would like to use this Avatar analogy on Levi, if you don’t mind. As he is getting older, he is questioning his own body, physical “differences”, special needs and abilities. My husband and I do our best, as parents, to reassure him and remind him that GOD has a purpous for him and he can do anything that he desires as long as he stays calm and doesn’t give up. We might as well be talking to a wall. Hoping this new attitude is just an age thing, I still feel like if we don’t handle it correctly it could snowball into bigger problems. He trusts your judgements and opinions…. even though he only truly knows your TV charactor, he doesn’t see it that way. Your words will help. Thank you. You probably forgot you had written me! Sorry for the delay in response. How is Levi these days? Please give him my best!